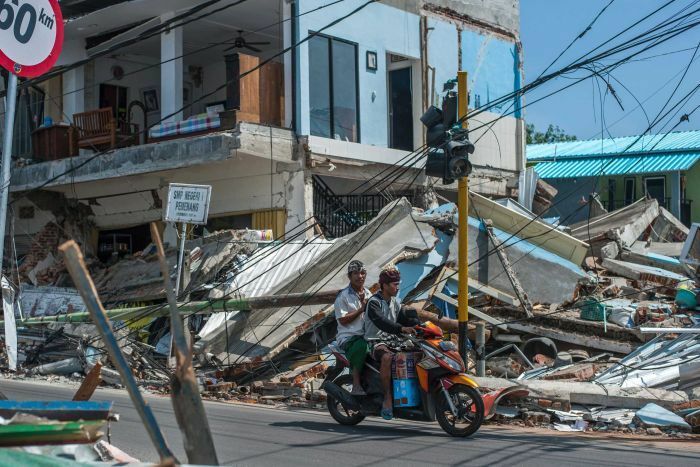 Scientists say the powerful Indonesian earthquake that killed more than 300 people has lifted the island it struck by as much as 25 centimetres. Using satellite images of Lombok from the days following the August 5 earthquake, scientists from NASA and the California Institute of Technology's joint rapid imaging project made a ground deformation map and measured changes in the island's surface. In the northwest of the island near the epicentre, the rupturing fault-line lifted the earth by a quarter of a metre. In other places it dropped by 5 to 15 centimetres..
About 270,000 people are homeless or displaced after the earthquake, which damaged and destroyed about 68,000 homes. NASA said satellite observations could help authorities respond to earthquakes and other natural or man-made disasters. Nearly a week since the earthquake, Lombok is still reeling but glimmers of normality are returning and devout villagers are making plans for temporary replacements of mosques that were flattened. In Tanjung, one of the worst-affected districts in the hard-hit north of the island, a food market has opened. Some shops also opened for business despite being in damaged buildings. 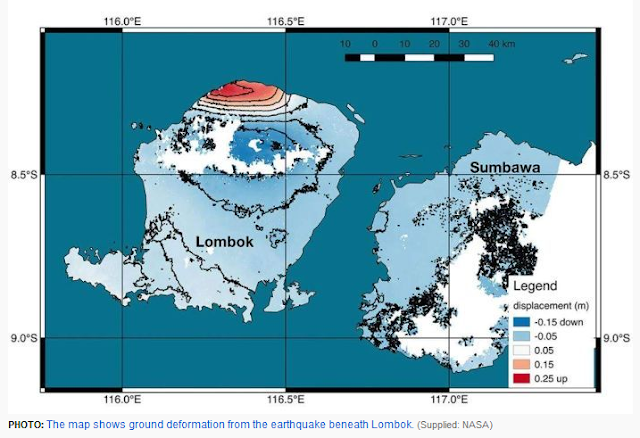 Lombok, a popular and less developed tourist destination than neighbouring Bali, was hit by three strong earthquakes in little over a week and has endured more than 500 aftershocks. A July 29 earthquake killed 16 people. An aftershock measuring magnitude-5.9 on Thursday caused panic, more damage and more than two dozen injuries. Indonesia is prone to earthquakes because of its location on an arc of volcanoes and fault-lines in the Pacific Basin. In December 2004, a magnitude-9.1 earthquake off Sumatra triggered a tsunami that killed 230,000 people in a dozen countries.